One of the exciting activities happening at the Fort Collins Book Festival this year is the wide selection of local writers sharing their original work with the community. The FoCo Writers Read session is on Saturday, October 20 during the festival, from 11AM – 4PM, at Art Lab Fort Collins (239 Linden St.). This reading is hosted by Northern Colorado Writers and features published and emerging writers eager to share their stories with you. Drop by any time throughout the day. For a full list of writers and their books, visit the FoCo Writers Read section of the website. There are still a few slots left for writers – contact Kristin at [email protected](dot)com to reserve a time. Poudre River Public Library District is excited to announce the 2018 Fort Collins Book Festival author and presenter lineup. This year’s festival, The Big Think, features more than 40 renowned writers, scientists, and storytellers including Kimiko Hahn, Fort Collins Poet Laureate Natalie Giarratano, Eric Magrane, Michael McLane, Paul D. Miller aka DJ Spooky, Todd Mitchell, and more. The 2018 Book Fest takes place Friday, October 19 and Saturday, October 20 at venues throughout downtown Fort Collins. Award-winning poet Kimiko Hahn is the author of nine collections of poetry including Brain Fever and Toxic Flora, both of which were prompted by fields of science. Hahn currently serves as President of the Board for The Poetry Society of America and is a distinguished professor in the MFA Program in Creative Writing & Literary Translation at Queens College, The City University of New York. Fort Collins Poet Laureate Natalie Giarratano will present selections from her most recent work, Big Thicket Blues and her award-winning debut, Leaving Clean. Giarratano will be joined by Colorado poets Bill Tremblay and Abigail Chabitnoy and by Texas Poet Laureate Jenny Browne. Eric Magrane won the 2015 Southwest Book of the Year Award and a New Mexico-Arizona Book Award for The Sonoran Desert: A Literary Field Guide. He is a poet, cultural geographer, and founding editor of Spiral Orb, an experiment in permaculture poetics. Magrane will participate in a panel discussion on Earth’s sustainability and will lead the “Walking and Writing Place” field trip with Michael McLane that focuses on walking as a means of thinking and writing. McLane is the author of the book Trace Elements and is an editor with Sugar Hosue Review and saltfront: studies in human habit(at). He also serves as director of the both the Utah Center for the Book at Utah Humanities and the annual Utah Humanities Book Festival. Multimedia artist, composer, and author Paul D. Miller aka DJ Spooky will present The Imaginary App, a sweeping work that explores the cultural and technological shifts that have accompanied the emergence of the mobile app. Miller is the 2017-2018 recipient of The Hewlett 50 Arts Commission Award which supports the creation of “Sonic Web,” a multimedia performance and an installation based on the history and evolution of the internet. Colorado Book Award winner Todd Mitchell will host a writing workshop aimed at science fiction and fantasy writers and participate in a panel discussion with fellow writers and scientists that examines the role and impact of science fiction stories and topics in driving scientific advancement. Mitchell’s book The Last Panther won a 2018 Colorado Book Award and a Colorado Author’s League Book Award, and was named 2018 Green Earth Honor Book. The Big Think features a diverse array of topics, genres, and writers including poets and bestselling authors of fiction and nonfiction. The two-day event includes previously announced authors Andy Weir, Bill Ritter Jr., Dr. Sheila Rowan, Dr. Adam Becker, Michael Benson, Dr. Amanda Hendrix, Richard Munson, Carolyn Collins Petersen, and Sam Kean. The Fort Collins Book Festival kicks off on Friday with six writing workshops at Old Town Library taught by experienced authors like John Calderazzo, Teresa Funke, April Moore, Jenny Browne and Todd Mitchell. Writing workshops are free but require registration. That evening, the special All-Star Poets reading at Downtown Artery will feature award-winning poets David Axelrod and Kimiko Hahn. Saturday is the main day of the festival and includes more than 40 authors and presenters participating in 30 panel discussions, book talks, readings, presentations, and more. Local author SueEllen Campbell will present her book The Face of the Earth: Natural Landscapes, Science, and Culture and will participate in a panel discussion about the communication challenges and opportunities for engaging the public in the fields of science. Writers Matthew Cooperman and Aby Kaupang will present their newly-published book, NOS (disorder, not otherwise specified), and share their experiences following their daughter’s diagnosis of autism and their journey of affection, affliction, love, and protection. The authors will also join Colorado writers Jeffery Pethybridge and Carolina Ebeid in a discussion of how trauma has affected their mind, body, and writing craft in therapeutic and subversive ways. Popular local author Sasha Steensen partners with WILLA Award finalist Jodi Varon, author of Drawing to an Inside Straight: The Legacy of an Absent Father, and poet David Axelrod to explore how writers shape the energy and argument of their work from an intimacy shared with all lifeforms. The authors, scientists, and storytellers participating in The Big Think also include up-and-coming Colorado writers, enabling the festival to connect attendees to their favorite writers and introduce them to new ones. The Fort Collins Book Festival is produced by Poudre River Public Library District in partnership with CSU Morgan Library. The event is offered free to the community through the support and generosity of the City of Fort Collins Fort Fund, the City of Fort Collins Office of Economic Health, Colorado Creative Industries, CSU Office of External Affairs, Associate Students of Colorado State University, Bohemian Foundation, Poudre River Friends of the Library, Downtown Development Authority, KUNC, The Colorado Sound, Front Range Community College, Poudre River Library Trust, Rocky Mountain Student Media (including KCSU 90.5FM, Rocky Mountain Collegian and CTV Channel 11), Downtown Fort Collins Creative District, Liggett Johnson & Goodman, First National Bank, Northern Colorado Writers, Woodward Inc., Happy Lucky’s Teahouse, and other local businesses and creative arts organizations. The Fort Collins Book Festival is excited to bring Paul D. Miller aka DJ Spooky to this year’s event. Paul D. Miller aka DJ Spooky is an established composer, multimedia artist and author whose fourth book, The Imaginary App, was released in 2014. Miller is the 2017-2018 recipient of the The Hewlett 50 Arts Commission Award which will support the creation of “Sonic Web,” a multimedia performance and an installation based on the history and evolution of the internet, which will premiere at San Francisco’s Internet Archive in January 2019. Upcoming album releases include “Phantom Dancehall” with premier reggae label VP Records and his first blockchain album, “The Invisible Hand,” commissioned by SingularDTV. Imagine a visual odyssey through the cosmos, driven by lush musical compositions and inspired by complex themes of astronomy, engineering, biology, and psychology. The Hidden Code is the newest work by Paul D. Miller, aka DJ Spooky That Subliminal Kid. Commissioned by Dartmouth College’s Neukom Institute for Computational Science, Miller composed the album based on conversations with several of Dartmouth’s leading researchers. Come experience stunning 360° visuals along with the sounds of DJ Spooky at the OtterBox Digital Dome Theater October 20, 2018. “The Hidden Code” is Saturday, October 20. Doors open 7:00 pm. Two showtimes beginning at 7:30 pm & 9:00 pm. Cash bar available. Tickets: $20/$16 for FCMoD members. (FORT COLLINS, Colo., Sept. 12, 2018) — Poudre River Public Library District today announced that Bill Ritter, Jr., a clean energy expert, author, and former Colorado Governor, will present the opening keynote at the free 2018 Fort Collins Book Festival, The Big Think. His presentation, “The Energy Transition in America,” will focus on why states, local governments, and businesses continue toward decarbonization. Ritter’s keynote presentation and audience discussion is scheduled for Saturday, October 20 from 9:30 – 10:45 a.m. at Block One Events*. A book signing will follow hosted by Old Firehouse Books, the official bookseller of the festival. Following the morning keynote, Ritter will participate in a discussion on human ingenuity and innovation from 11:00 a.m. – 12:30 p.m. at the CSU Powerhouse. 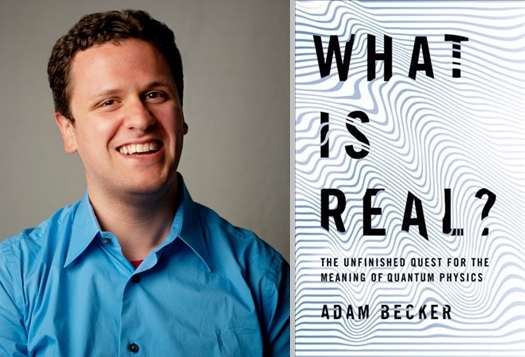 He will be joined by author Richard Munson (Tesla: Inventor of the Modern), Colorado State University professor Ellen Brinks, local artist-inventor Jennifer Spencer, and others. “We are very excited to have Bill Ritter opening the book fest this year. His passion for clean energy solutions, from as far back as when he was Colorado’s governor, has made a significant impact on energy innovation and advocacy in our region,” says Anne Macdonald, director of Fort Collins Book Festival and librarian at Poudre River Public Library District. Bill Ritter, Jr. is the founder and director of the Center for the New Energy Economy (CNEE) at Colorado State University. The Center works directly with governors, legislators, regulators, planners, policymakers, and other decision makers. It provides technical assistance to help officials create the policies and practices that will facilitate America’s transition to a clean-energy economy. 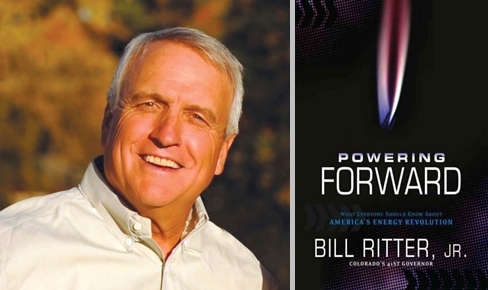 Ritter authored the 2016 book Powering Forward – What Everyone Should Know About America’s Energy Revolution. He is the chair of the Board of Directors of the Energy Foundation and a senior fellow and member of the board of directors of the Advanced Energy Economy Institute. Ritter previously served as Colorado’s 41st governor. Book presentations feature inventor Nikola Tesla, the making of 2001: A Space Odyssey, wormholes and warp drives, quantum physics, and much more. We’re excited to announce additional authors for the 2018 Fort Collins Book Festival. These eight authors are set to present their books over the festival weekend, October 19 and 20, at venues throughout Old Town Fort Collins. The full lineup of authors presenting at the 2018 festival will be released in September. Dr. Amanda Hendrix is a Senior Scientist with the Planetary Science Institute, based in Boulder. She worked for twelve years at NASA’s Jet Propulsion Laboratory and was the Deputy Project Scientist for the Cassini–Huygens mission (2010-2012). She co-authored the book Beyond Earth: Our Path to a New Home in the Planets. Dr. Sheila Rowan is an experimental physicist, professor, and director of the Institute for Gravitational Research at the University of Glasgow in the UK. She pioneered research on aspects of the technology of gravitational wave detectors which were responsible for picking up the first gravitational wave signals from colliding black holes in 2015. Michael Benson is an artist, writer, and filmmaker who works at the intersection of art and science. His book Space Odyssey: Stanley Kubrick, Arthur C. Clarke, and the Making of a Masterpiece was published in April. Sam Kean is the New York Times bestselling author of Caesar’s Last Breath, The Dueling Neurosurgeons, The Disappearing Spoon, and The Violinist’s Thumb. Nicholas (Nik) Money is a mycologist and professor at Miami University (Ohio). He will present his most recent work, The Rise of Yeast: How the Sugar Fungus Shaped Civilization, along with Mushrooms: A Natural and Cultural History. 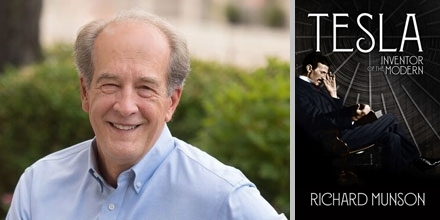 Richard Munson is an author, businessman, and activist in the field of clean energy and industrial energy efficiency. He directs the Environmental Defense Fund’s clean energy efforts in the Midwest. His most recent book, Tesla: Inventor of the Modern, was released in May. Carolyn Collins Petersen is a Colorado-based science writer who specializes in astronomy and space-science topics. She is the author of Space Exploration: Past, Present, Future along with Astronomy 101: From the Sun and Moon to Wormholes and Warp Drive, Key Theories, Discoveries, and Facts about the Universe. This year’s festival, The Big Think, includes more than 35 authors, storytellers, scientists, and creative visionaries participating in writing workshops, author readings, panel discussions, and much more. Learn more about the authors online at www.FoCoBookFest.org. (FORT COLLINS, Colo., July 24, 2018) — Poudre River Public Library District today announced that internationally acclaimed author Andy Weir will present the closing keynote at the 2018 Fort Collins Book Festival, The Big Think. This is the third consecutive year of the free community festival which features diverse local, national, and international authors, poets, and innovators. Weir’s evening presentation is scheduled for Saturday, October 20 from 5:30-7:00 p.m. at the Lory Student Center* on the Colorado State University campus. A book signing will follow the presentation. Old Firehouse Books, the official bookseller of the FoCo Book Fest, will be on-hand before and after Weir’s session for book sales. Prior to the evening keynote, Weir will participate in a discussion on space colonization at Block One Events Center beginning at 3:00 p.m. that explores the possibilities, realities, and challenges of humans living on other planets. 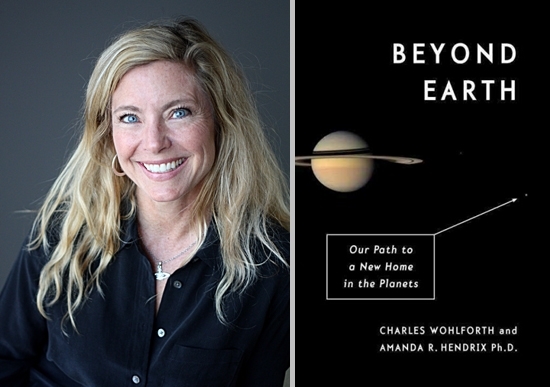 He will be joined by featured Colorado author and planetary scientist Dr. Amanda Hendrix (Beyond Earth: Our Path to a new Home in the Planets). Andy Weir built a career as a software engineer until the success of his first published novel, The Martian, allowed him to live out his dream of writing full time. He is a lifelong space nerd and a devoted hobbyist of subjects such as relativistic physics, orbital mechanics, and the history of manned spaceflight. He also mixes a mean cocktail. His most recent novel, Artemis, was published in November 2017 and was a New York Times bestseller. Geneva Robertson-Dworet is set to adapt Artemis for the big screen, and Phil Lord and Chris Miller will direct. *Schedule subject to change. Seating for presentations is on a first come basis. No ticket required. A final schedule and author lineup will be released prior to the event.